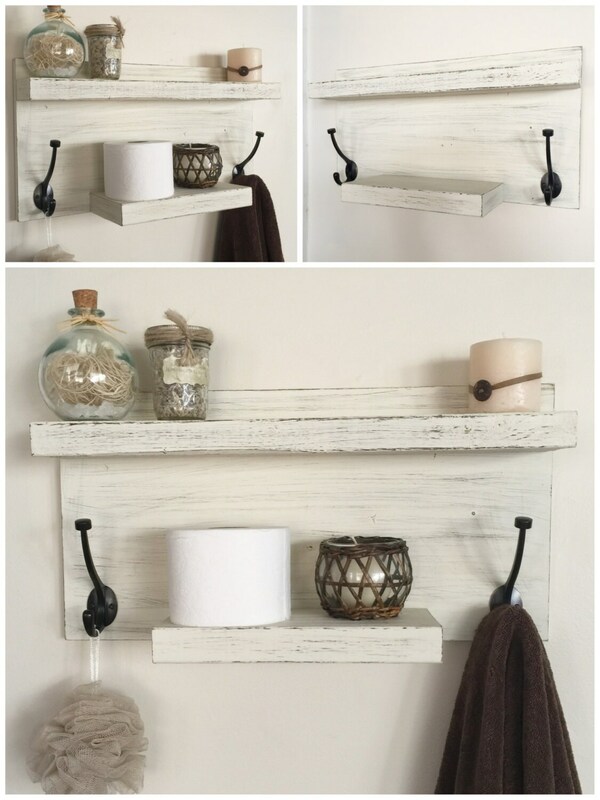 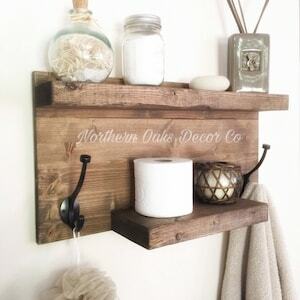 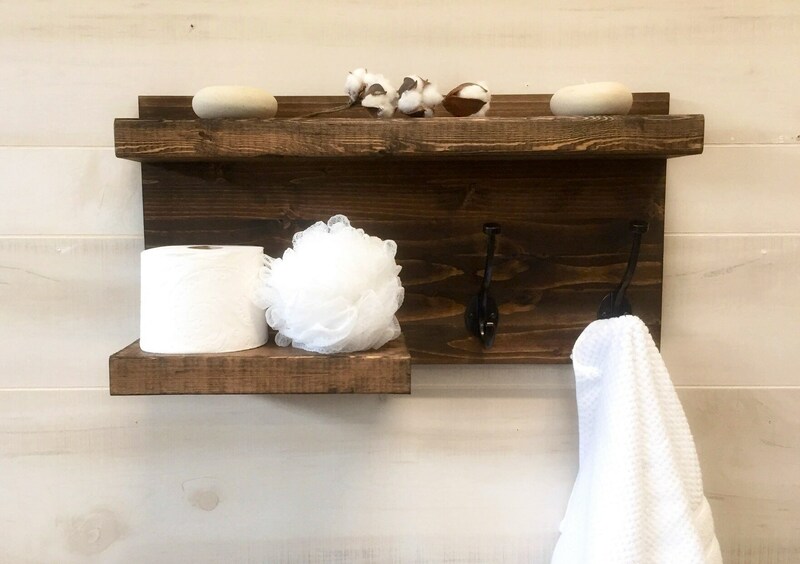 This hand made bathroom shelf unit is the perfect space saver and decor piece for any bathroom! 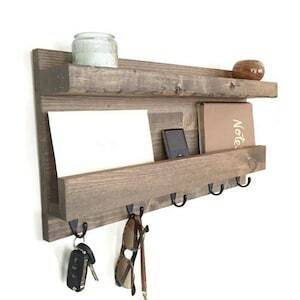 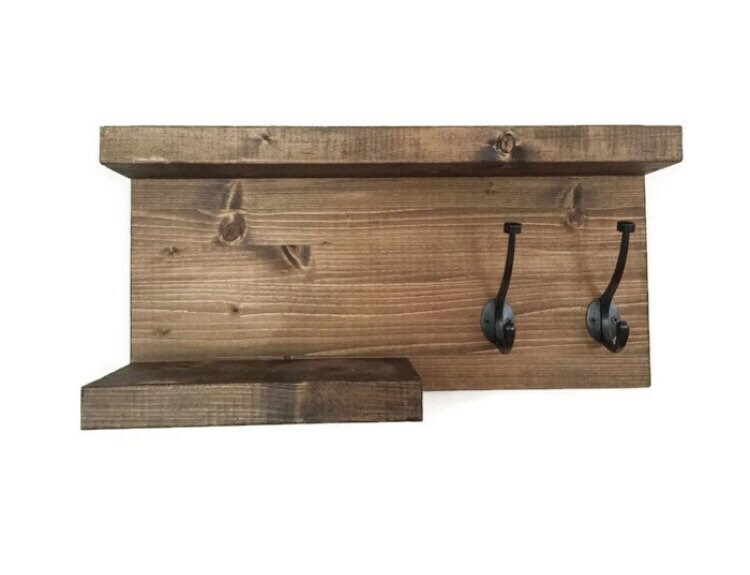 It features two shelves and two hooks. 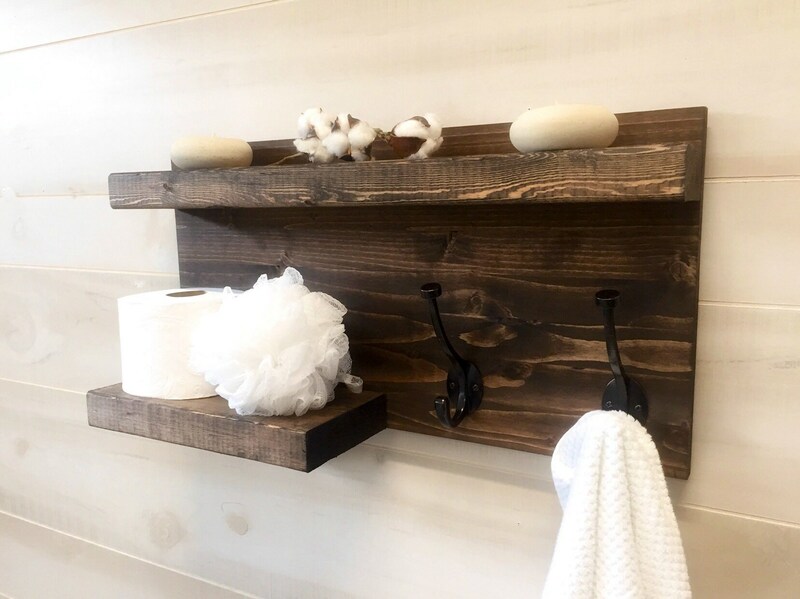 We have brushed nickel hooks available as well. 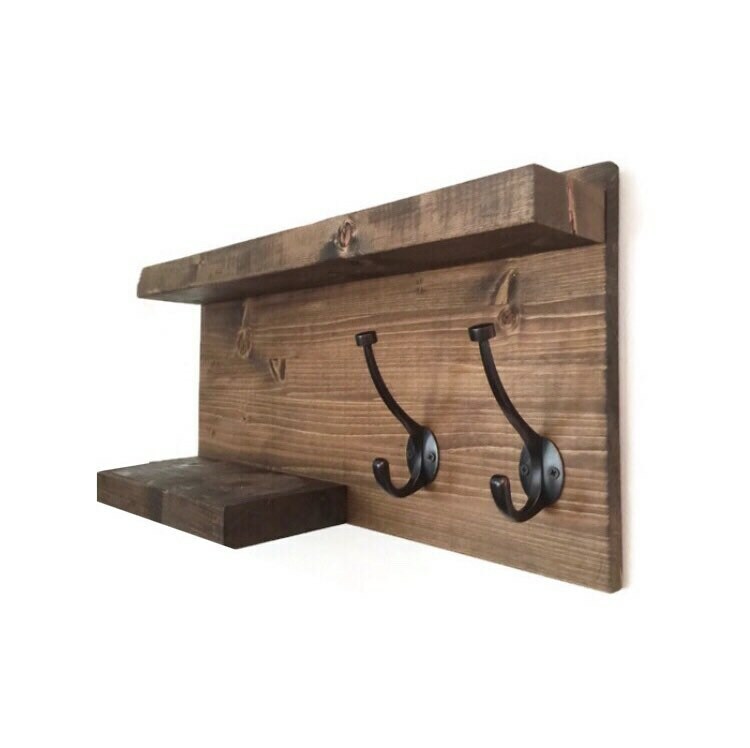 Comes with hanging hardware installed. 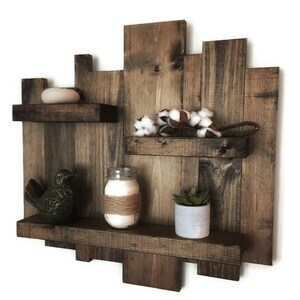 We have many available stain options. 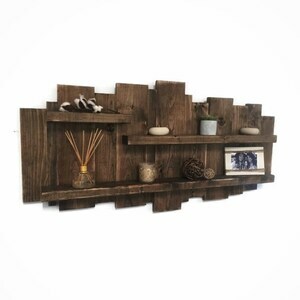 The listing shows this piece in dark walnut. 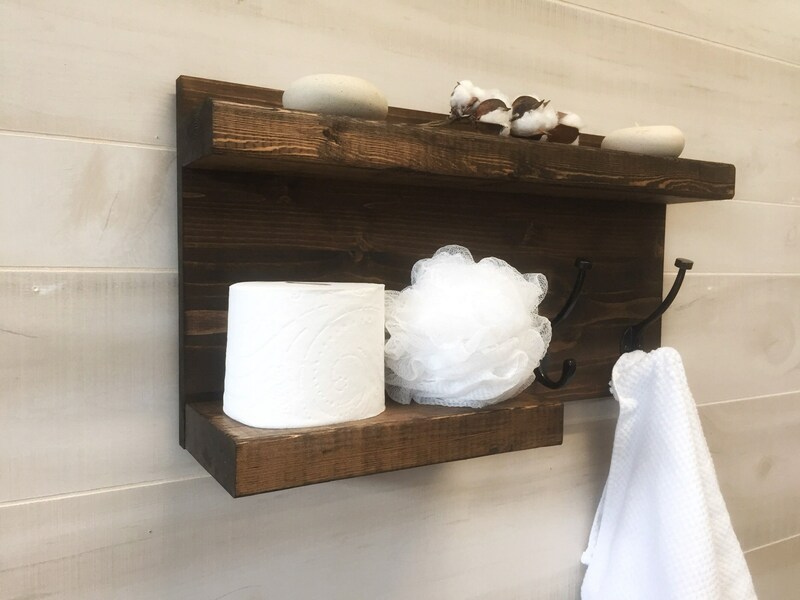 Please message us with any addition questions regarding stain or available colors.